Just ask Constella Festival founder Tatiana Berman, who learned she shouldn’t always measure success in growth. About to head into its fifth season, April 15-24, the festival offers an eclectic mix of unconventional classical programs at varied venues, featuring notable visitors with established and emerging local talent. Visual art and dance also color the festival. Berman is a fiery violinist in her own right, as displayed in performances during previous Constella seasons and less formally through occasional Classical Revolution showcases at the Northside Tavern. With the Constella Festival, she amplifies that monthly mission, to showcase local musicians and ensembles outside the “big five or six” organizations and make classical music accessible and enjoyable to those who don’t see Music Hall as welcoming. With early support from enthusiastic donors, Berman attracted superstar violinists Hilary Hahn and Joshua Bell to the inaugural festival in 2011. In recent seasons, Berman has sought artists with reputations that don’t command large font sizes on the marquee. IMPORTANT UPDATE: In a late roster change, Sura & Max have had to cancel their appearance here. 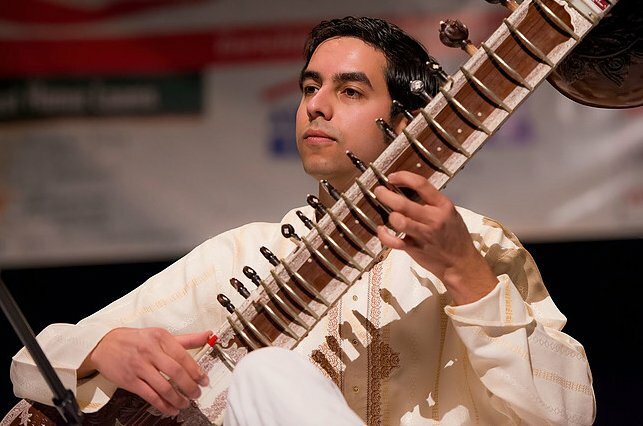 The opening concert will now feature Arjun Verma, sitar, and Indranil Mallick, tabla, in an evening of North Indian classical music. Other programs feature Constella Dance (April 16), Classical Revolution (April 17), pianist Zhang Zuo (April 21), an evening of new music from composer and pianist Michael Csányi-Wills (April 22), the first Constella music video and visual art competition (April 23) and a festival-closing recital with mezzo-soprano Susanne Mentzer (April 23). Tickets for most events are $10 for students and $25 for adults, with festival passes running $60 for students, $119 for adults.